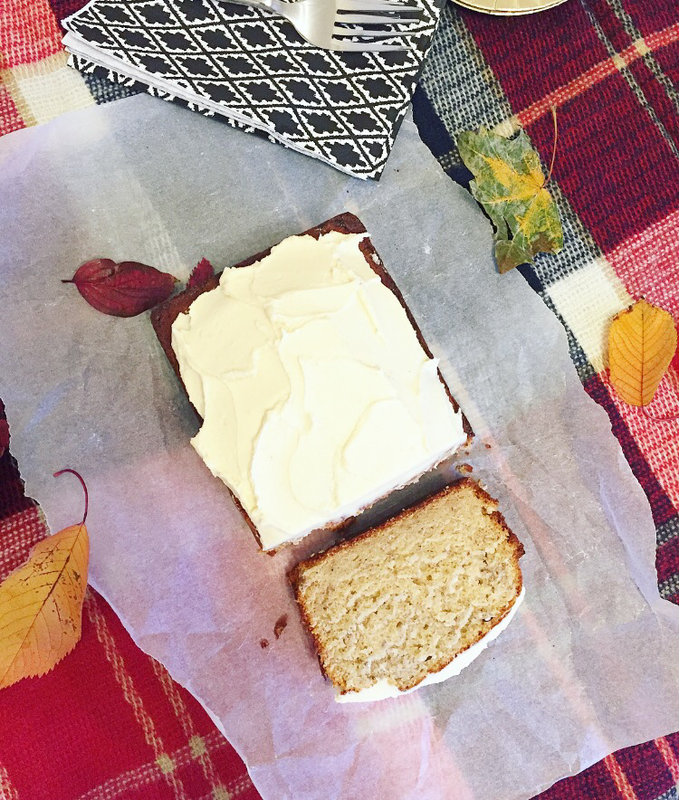 Ah, that banana bread! The one bake I truly believe must be good for me or at least count towards some of my daily fruit & beg consumption. I’ve been making banana bread for as long as I can remember and yet each time I do I end up adding something different and then not remembering what I did previously to make it taste so damn good. To resolve my dilemma, I’m leaving the recipe here to share with you fine people! 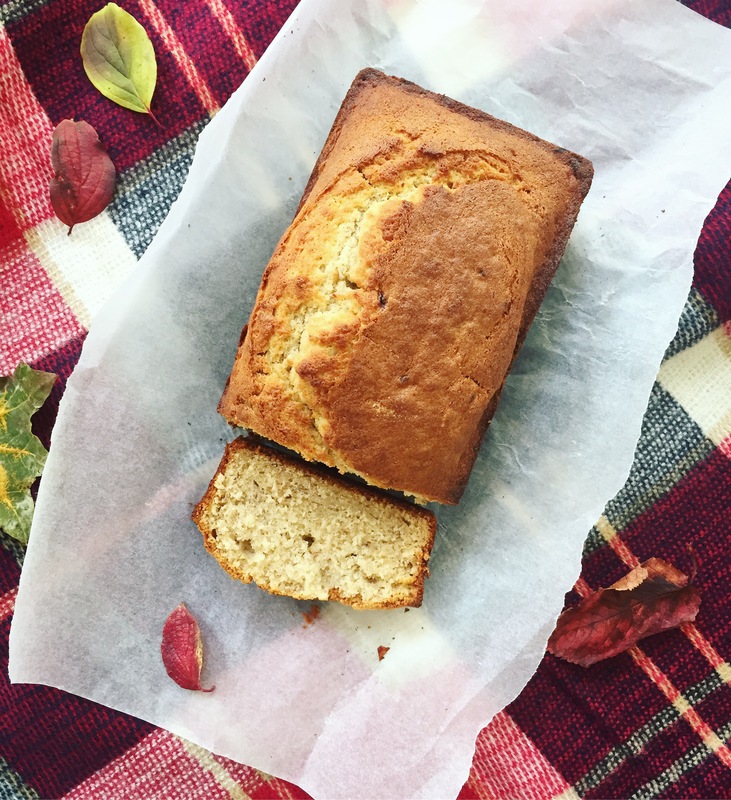 Banana bread, in my opinion, should be slightly dense, golden in colour and with a hint of cinnamon to balance the exploding flavour of banana – though the texture is always somewhat cake over bread. This is just how I like it, but the addition of nuts such as chopped walnuts also works a treat and you can also swap 50g of the golden caster sugar for light brown sugar to give it a slight caramel taste too. 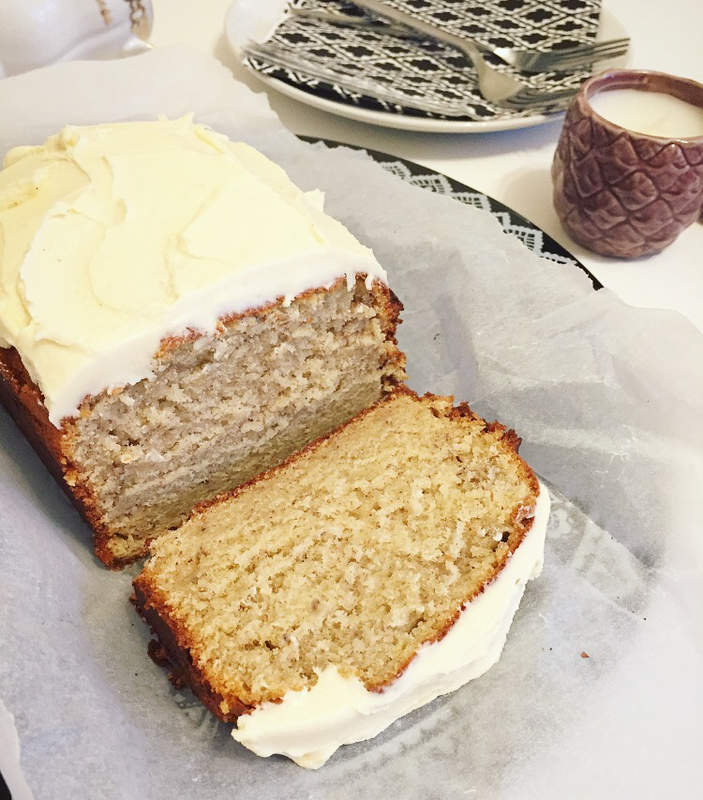 Whilst banana bread is fabulous on its own and how I usually make it when I have nothing better to do on a Sunday, I’ve added some delicious maple buttercream for an extra treat. This was because I knew friends were coming over and often the theme is ‘the sweeter the better’. 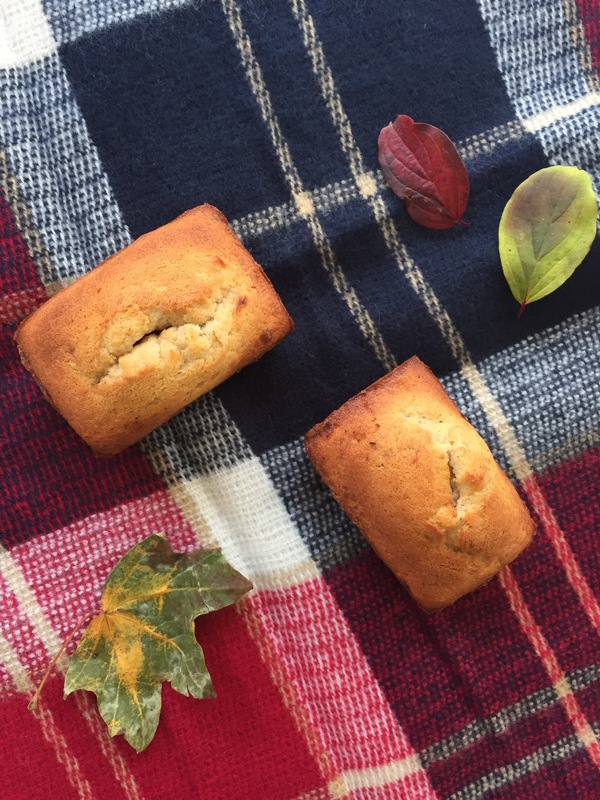 If you’re looking for something quick, easy and super tasty this is definitely a recipe for you. 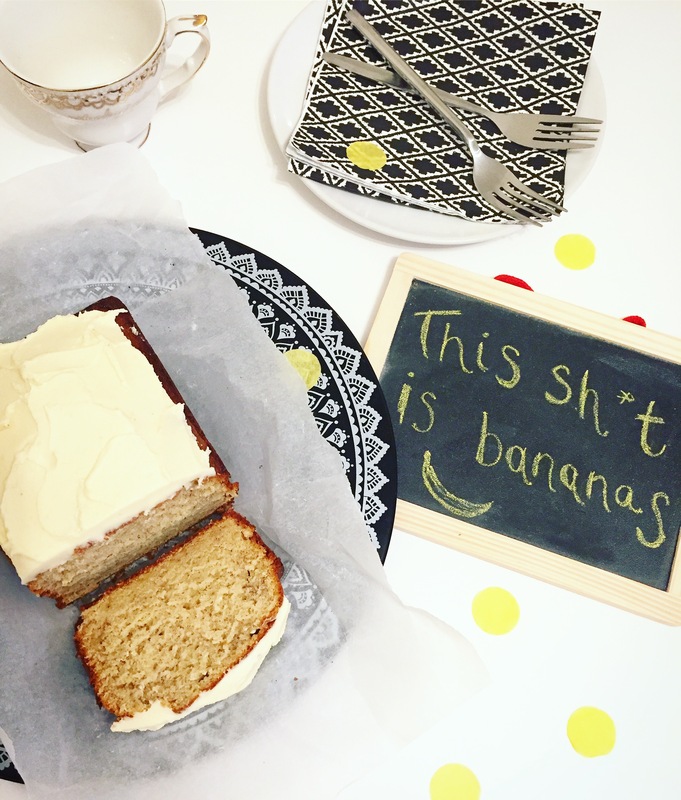 Why not also check out my ‘bananas about baking’ post for more banana inspired treats. Like what you eat? Follow me on Instagram and Twitter and don’t forget to check out some of my other fruity recipes here.